Car Credit Hero is a team of Auto Loan Experts with one goal: to get your auto loan approved, no matter what your credit. If you’ve been declined for an auto loan because of poor credit history, having no credit, past due payments, collections, repossession, or even a bankruptcy – We can help! Fill out our secure Online Credit Application now! Car Credit Hero specializes in bad credit, no credit and other credit challenges – We will get you the 2nd chance you deserve and the auto loan you want! In addition to getting your unique credit situation financed, allowing you to drive the car or truck you want, Car Credit Hero works hard to help you correct and repair your damage credit. 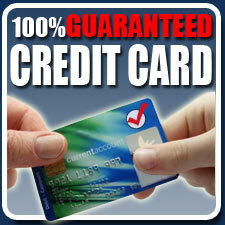 We can even take you from no credit, to established credit! Our financial specialists review your credit with you and get you approved on the auto loan you want. 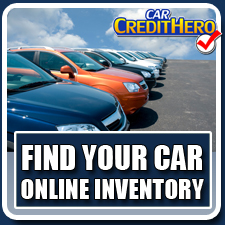 No matter what your credit situation – Car Credit Hero will get you approved! 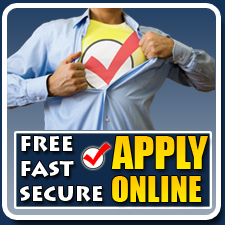 Apply Online now - in minutes you could be approved, even on a bankrupt car loan! We make 100% sure your new car or truck payments are affordable, so that you can make your new auto payment on time, every time. We offer monthly, weekly, bi-weekly and semi-monthly payments. Car Credit Hero will match your payment to your pay cheque! We only deal with banks and financial companies that report your new auto credit history to both Canadian credit bureaus every month – Car Credit Hero always makes sure every dollar you spend goes towards establishing or rebuilding your credit. Fill out our fast, easy and secure Online Credit Application now – You can be Approved for your auto loan, no charge, in minutes! Our goal is get you Auto Loan Approved on a new or used car loan. If you’re looking for an auto loan in Port Hope, Cobourg, Peterborough, Durham Region, Belleville or any where else in Ontario – You’ve come to the right place. Apply Now and your pre-approval could be ready in only minutes. Car Credit Hero is proud to help you get a second chance at repairing your credit. Car Credit Hero uses its auto loan experience to step around your declined auto loan, your bankruptcy and to get you out of your high interest car loan. Our expert staff works with you on an individual basis. Even with bad credit history, a previous or current bankruptcy, collections or a repo – We can help you! Car Credit Hero respectfully works with every type of credit and always works hard for you . When the bank says you’re declined, Car Credit Hero says Not so fast – Car Credit Hero knows the auto lending business and has the experience to get you an auto loan. Most of the Credit Challenged and New Credit customers Car Credit Hero helps come from the Port Hope, Peterborough, Cobourg, Oshawa, Newcastle, Belleville and Bowmanville areas but we proudly serve all of Ontario. We approve auto loans everywhere from Toronto to Kingston or London to Cornwall. Browse our used car inventory online. Contact Us today, we have hundreds of new cars available and our online application can have you approved in minutes. Want to know more about how a bankruptcy doesn’t mean you can’t get approved? Check out Car Credit Hero’s used car, new car, bad credit, collections, credit score, bankruptcy and more articles here.